First and foremost, we would all like to thank Carol Baxter, Vera Briggs, Keith Johnson, Frank Drew, Nick Reddan, to name just a few, who have dedicated endless hours, weeks and years of exhaustive research into the Drew family from Limerick, Ireland. This has enabled us to conclude that George Drew and his family could be traced back to the mid-18th century to the townland of Dromlohan in the Kilcornan parish, of County Limerick. It is also through extensive research by the above that we have concluded that the Drews were Anglo-Irish and of Protestant faith, with origins perhaps in Somerset, England. Given that George Drew’s father was from Rathkeale, Limerick, we may have concluded that they were part of several hundred Palatine families from the Rhineland who were re- settled there by Queen Anne circa 1709. However, there is certainly no evidence to prove this theory at all. The information pertaining to the George Drew in our line has been obtained from Australian documents and based on Passenger Information and Australian Birth, Marriage and Death Certificates obtained from the excellent NSW Archives. This indicated that he was the son of John Drew from Limerick and Elizabeth (nee Peppard) from born in Dublin. Janet Fearby provided this picture with inscription: “This photograph was taken in the mid to late 1800s” It is a reprint from a small photo that was in a locket that belonged to either Annie Drew (nee Reece) or her daughter Elizabeth Jane Knox (nee Drew). We are not sure who it is but was told by Heather Fearby that it is George Watson Drew (George Drew’s second son or it could be George Drew). However, when George Drew left for the goldmines in approx. 1849 he was 28 years old – and this appears to be someone in their Mid-thirties or older. It could also be Standish William – who died in 1879 age 35. 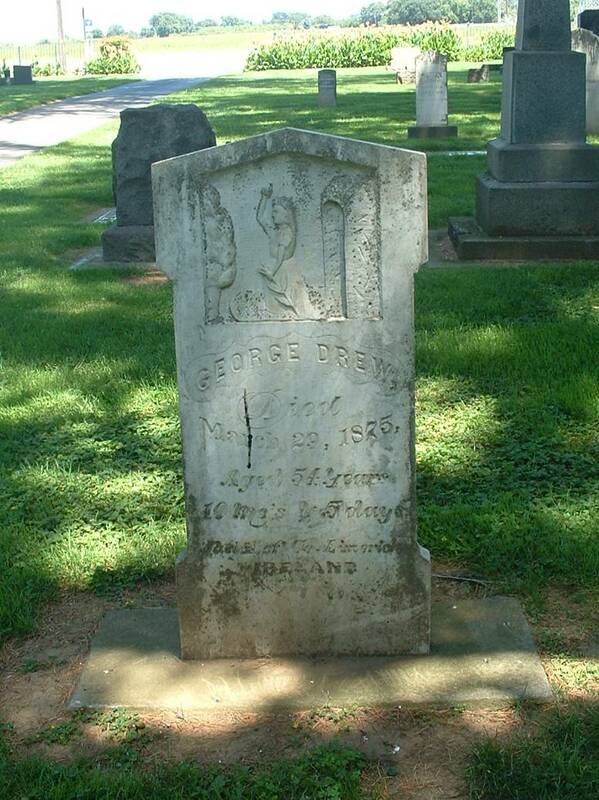 George Drew was born in Limerick Ireland to John Drew and Elizabeth Drew circa 1820. Elizabeth Drew was the daughter of Standish Peppard, a Solicitor (per d-c 1876/009108 certified by William Drew, son) – name of mother unknown. Elizabeth Drew according to the certificate had been born in Dublin, Ireland. 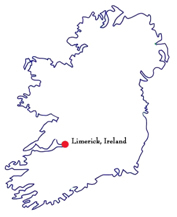 Elizabeth and John were married in Rathkeale, Ireland circa 1819 (Elizabeth Drew’s d-c shown her age at marriage 22 years old). George Drew leaves the Irish shore with his parents and five siblings on the Adam Lodge a 576-ton ship carrying 273 government immigrants which sailed from Cork on 11 November 1839. Catholics; a crewmember and two children died on the voyage, one child was born. A school was established and 37 regularly attended; the surgeon noted that the schoolmaster was very attentive and many of the scholars improved considerably. The chief amusements were recorded as being dancing and leap frog and were always encouraged in the evenings until 9 o’clock. “The ship arrived in a healthy and clean state. Her water and provisions were very good, and the ship was suited to the service”. The Drews already had family members in New South Wales. According to the New South Wales Census in 1841 in the District of Parramatta, John Drew was listed in the Parish of Prospect –#667 household living with his family, wife plus six children in a stone or brick house. Above would indicate that the Drew Family of John and Eliza with their six children were all living together. However, the wrong boxes appear to have been checked – if John and Eliza were living with the children as indicated in the Passenger List it should read: 3 Females between 7 and 14 and 3 Males between 14 and 21 plus parents. “Sacred to the Memory of John Drew who died September 13 1844 –aged 46 yrs also of Elizabeth Peppard, relict of the above, died April 17th 1876 aged 78 years. Elizabeth Drew – wife of John Drew died aged 78 years – on 16th April 1876 (date shown on d-c –differs from Stone above) at Good Street, Parramatta – as certified by her son William Drew of Parramatta (1876/009108) She was buried 18th April 1876 at All Saints Cemetery, Parramatta –with her husband John. ****There is no mention of George Drew in the death certificate , as living or deceased, presumably indicating that the family was no longer in touch with him once he left for the goldmines in California. Catherine Drew married William Thompson (1854) ? David Reece. The marriage was by license and was recorded in the Church of England registry, Parish of Hunters Hill in the County of Cumberland. Standish Drew, his brother of Baulkham Hills and Charlotte Drew, his sister of Parramatta were witnesses. George Drew and Annie Reece Drew…had three children (death certificate of Anne Drew states she had 4 children at time of death on 14th April 1900. •	two males deceased (1 male would be Standish William but another male may have been born in 1847 and died an infant). a) Standish William (1844-1879) was born in 1844, Windsor. He died 19 Sept 1879 at Beaufort St., Strawberry Hills, Sydney. He is buried at Necropolis. Standish William Drew married Ann Elisa Clyde 15 Aug 1865, 1 Holt St., Sydney. Presbyterian. Rites. Herbert Wallace - 9 June 1866. 1 Holt St. Sydney. Died 16 April 1958.
b) Elizabeth Jane (see Elizabeth Jane Knox) – Born 30 April 1846 in the Parish of Marsfield, County of Cumberland, abode at the time Duke of Wellington Pub, Church Street, Parramatta – profession of father, Publican (see Duke of Wellington License on Church Street 1845). Died 23 Feb. 1925 “Montargis”, Wentworthville. 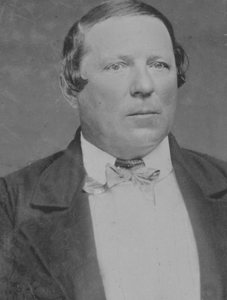 Married Joseph Knox (see Joseph Knox) 13 June 1870 – 13 Edward Street, South Head Road Sydney. Died 6 Feb 1919. They had eight children. Aurora Myrtle – born 29th June 1876 married Harry Charles Walker in Rosebery, Woollahra in 1931 (this appears wrong – it states she was 40 at time of marriage indicating she got married in 1916). She died on 9th March 1944 at Manly District Hospital. At the time she and her husband were living at Flat 2, Camberene, Victoria Parade in Manly NSW. They had no children. Haldane Leslie Hillas – born 15th January in Hereford Street Glebe, 1879 died September 30 1880, Hereford Street, Glebe aged 1 � yrs. Joseph Milton Hosking –born 27th February 1884 Hereford Street Glebe, died 12 Oct 1921 aged 37 years. “Omah” Rochester Street Homebush. Married Ida M. Dawson 1913. They had one daughter Margaret Elizabeth born February 15th 1917. Ivy Jasmine Gwendoline -born 30th October 1886, Hereford Street, Glebe – 1886. Unmarried, died 23rd June 1959, 4/17 Shellcove Road, Neutral Bay. George Watson – born 11th October 1849. He was baptised on 25th November, 1849 at the Parish of St. Lawrence, Sydney in the County of Cumberland, Surry Hills-at the time of his birth his father was listed as a butcher. He died in Wollongong on the 9th July, 1907. 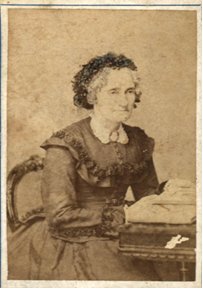 Married Agnes Wright in Brisbane Queensland 1872. When he died he was a Coach Painter. His father is listed as George Drew –a “Farmer” and his mother’s maiden name listed as Annie Reece. He is buried at the Methodist Cemetery in Wollongong. Still researching third son of Annie Drew as stated on her death certificate. There are limited possibilities available to be able to research this: There is a James Drew born on September 30th 1846 to Ann Drew and John Weston –a labourer from Chippendale. This is unlikely as a) Elizabeth Jane Drew was born on 30th April 1846 and b) George Drew was still in Australia. 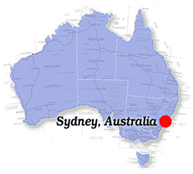 There is a George Drew of Liverpool Street – parish of St. Lawrence, Sydney in the County of Cumberland who died as an infant aged 2 years 4 months on 4th November 1847– father a shoemaker. There was a shoemaker named George Drew who appears in the Insolvency index in 1846. There is a strong possibility that this could be the 3rd child. Because up until 1856 there were only baptism and burial certificates it is not so easy to verify this data. We know that George Drew left for the goldmines, wrote one letter home and appears to have remained in the United States. It is not clear yet how or when he left for the goldmines. Looking through all the possibilities there is one piece of evidence that George Drew may have ended up in Hamilton County of Butte – this is based on the 1870 U.S. Census report where we find a George Drew born in Ireland in 1820 (that would correspond to the right age) living with a wife and 3 children. There is no certainty that this is the same George Drew – the only coincidence is that age, location, and place of birth are all correct. He even named his oldest son John which would follow the pattern of naming your eldest son after his paternal grandfather. Further research might find marriage and death records, which could perhaps bring more information to light. It certainly seems that when George Drew’s mother Elizabeth Peppard Drew died in 1876, William was not able to list his brother as either living or deceased. End Note: Information still needed to determine when George Drew left Australia for the Goldmines in California – approx. 1849 and what happened to him after he left Australia.